To Rank up Seven Knights heroes you must visit the Heroes management menu and select the character to upgrade. This involves knowing the element which upgrades a hero; such Earth, Water, Fire or Dark materials. This is why we have been mapping all 400+ heroes to get an idea of what criteria are necessary to upgrade heroes. 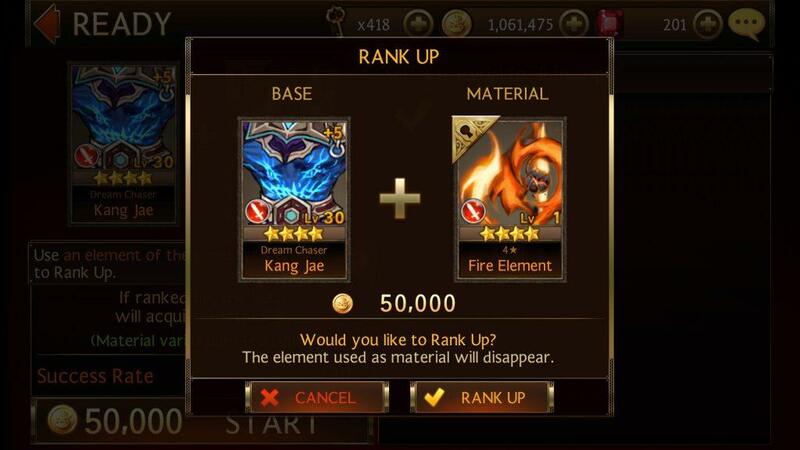 In this example, we have 4-star Dream Chaser Kang Jae who requires a 4-star Fire element to rank up. 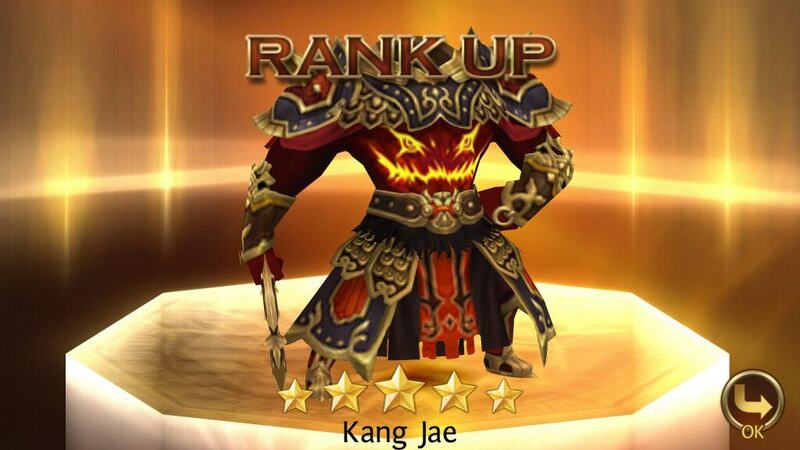 Add the material and a hefty gold coin bounty and you will successfully rank him up to 5-star Vengeful Wanderer Kang Jae. An alternative method to upgrade heroes is more involved and you will receive a random character using Fusion. Read our full guide on how to fuse Seven Knights heroes. Furthermore, delve into our guide on how to power up heroes as well.